Joe Smith, founder of the YMCA's YCAP program, will be honored tonight with a roast at the Chattanooga Convention Center. Joseph Francisco was 11 years old the first time he met Joe and Paula Smith and their two children, Andy and Abbey. Three years later he was living with them, one of 19 foster children the Smiths welcomed into their home over a 20-year period. Asked what Smith has meant to him the past 18 years, Francisco, a 29-year-old boxer, said: "You've got sperm donors, and then you've got the father who loves you. To sum it up, Joe Smith's my dad." 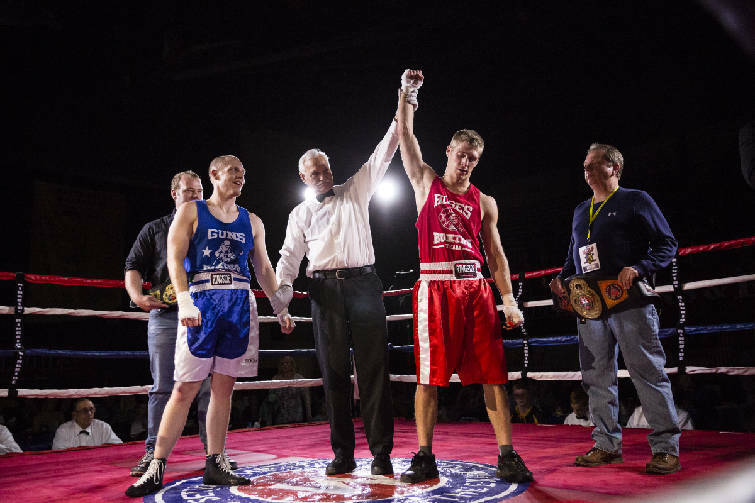 Joe Smith declares Tri Community Firefighter Levi Vanderhoef victor over Chattanooga Police Officer Keith Hunter during the Guns and Hoses: Battle of the Badges event at UTC on Saturday, March 4, 2017, in Chattanooga, Tenn. The annual fundraiser pits firefighters against police officers in the boxing ring to raise money for YCAP and the Forgotten Child Fund. A lot of fairly big names are going to honor Francisco's nonbiological dad tonight during a roast at the Chattanooga Convention Center to recognize the 20th anniversary of the local YMCA Community Action Project (YCAP) program, which Smith founded to help at-risk youth. The event is dubbed "Fry the Founder," so a few barbs and zingers surely will be directed at the 63-year-old Smith by a roaster roster that includes Francisco, attorney Russell Bean, Larry Bright, former Atlanta Falcons great Buddy Curry, University of Tennessee at Chattanooga wrestling coach and roast emcee Heath Eslinger, Charlie Hunt, former UTC and McCallie School basketball coach John Shulman, former U.S. Congressman Zach Wamp and Bill Wetzel. "Oh, I'm going after him," Shulman said with a chuckle Tuesday. "Some people think I can coach and some people think I can't, but I'm John Wooden next to Joe." Added Francisco: "Joe's almost always got a nice tan, but he might turn red after I speak. I've only got three minutes, but they're going to be a memorable three minutes." Then there's Tommy Hobbs, who oversees YCAP's woodworking program. "Joe's great at getting you to commit to something, then once you do, he tells you, 'By the way, we don't have any money,'" Hobbs said. Of course, he also added: "Joe's made me cry multiple times because of the kids he's helped. He just has a gift. Like the woodworking shop. Joe understood that these kids would feel pride in building something and selling what they've built. So whether it's getting $15 for a bluebird house or cutting board they've made, they can make a little money doing something with their hands that's legal. He just has this faith that he can make things better, and he does." It wasn't always this way. Thirty years ago, Smith desperately needed someone to make his life better after years of drug and alcohol abuse. "I was 6 years old," recalled son Andy, who's now 36 and the regional executive director of YCAP. "My mom had packed up everything and we'd moved to my grandparents' house. My father says of that time, 'I used (drugs and alcohol) to live and I lived to use,' and my mom had had enough of it." But in the darkest of ways, so had Joe. He made a plan to commit suicide. He was going to shoot himself near Chickamauga Dam. But as he drove there, his truck ran out of gas. A friend happened by, saw the gun in his pants and convinced him to seek help. Said Andy: "My father still jokes that he was screwing up everything so bad back then that he even screwed up killing himself. But he also realized that God was giving him a second chance." 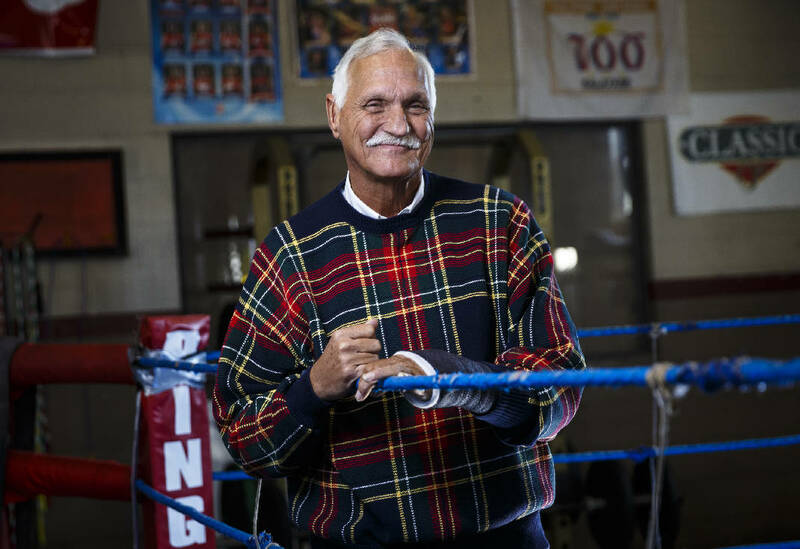 That chance eventually led him to form YCAP and the West Side Boxing Club, which later became the YCAP boxing club, those organizations jointly helping more than 2,000 kids find a better path, including Brian Brewer. Now 30 years old and working toward a degree at Chattanooga State, Brewer was all of 11 when he first encountered Joe at West Side. "I was headed in a bad direction," Brewer said. "Joe put me on a better path." Brewer not only began to travel a better path, he wound up as the Junior National Golden Gloves champ at 178 pounds in 2003. But his biggest accomplishment may have been receiving the Good Samaritan Award from the Red Cross in 2017 for jumping into a burning apartment to rescue an elderly woman. "Right place, right time," Brewer said of that act of bravery. Asked what place he might be in today without Joe Smith's assistance, Brewer said, "I'd probably be in the penitentiary." Francisco spent nearly five years in a West Virginia prison for selling stolen guns after he moved out from under the Smiths' roof after high school. During that time, Joe and his family were the only visitors he had, and they brought him home when his sentence was up. Back in boxing again, he has won all three of his most recent bouts, has a steady job and is about to become a father for the first time. "Joe and Paula, they never gave up on me," he said. Will Wade has risen through the college basketball coaching ranks quickly enough — moving from UTC to Virginia Commonwealth University to LSU in four years — that he hasn't needed anyone not to give up on him. But he did want friends when he arrived in Chattanooga in spring 2013, and Smith was one of the first people to embrace him. Five years later, Smith was in attendance at three LSU games this past winter, even speaking to the team prior to its game at Vanderbilt. "I love Joe Smith," Wade said. "I love his program, his message. He speaks to a room of young people for 20 minutes, and you can hear a pin drop the whole time. He texts me before and after every game we play. I've got one kid here at LSU, Daryl Edwards, who's from Fresno, California, who now wants to do there what Joe has done here. "You just feel better for knowing him." And our town has become far better for so many of its at-risk youths knowing Smith. He may have the most common of names, but as the folks attending "Fry the Founder" will learn tonight, he is anything but an ordinary Joe.